This page shows a selection of large, executive-style desks that have been built for other clients. 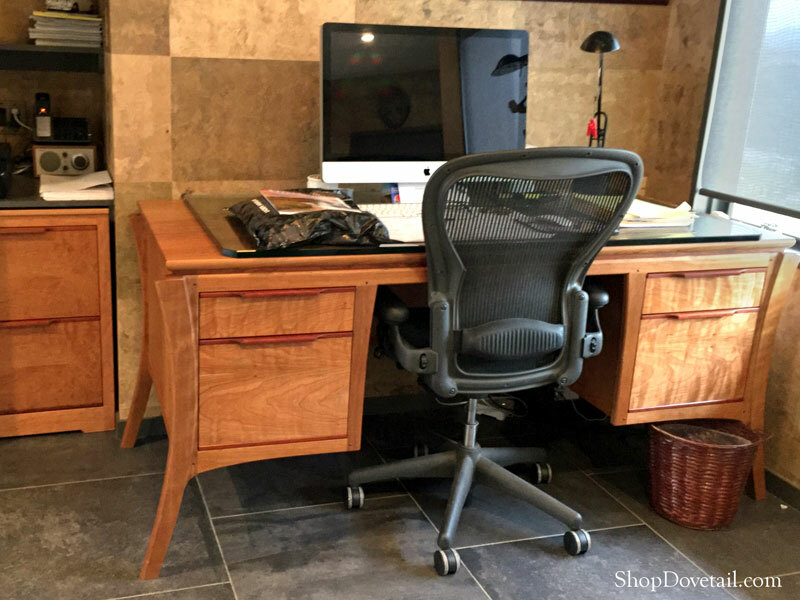 ​Each desk is handcrafted in California, and features a combination of domestic and exotic woods. Size, wood combinations and drawer layouts can all be customized. Please call us directly if you want to discuss your custom needs further. 707-431-0111. 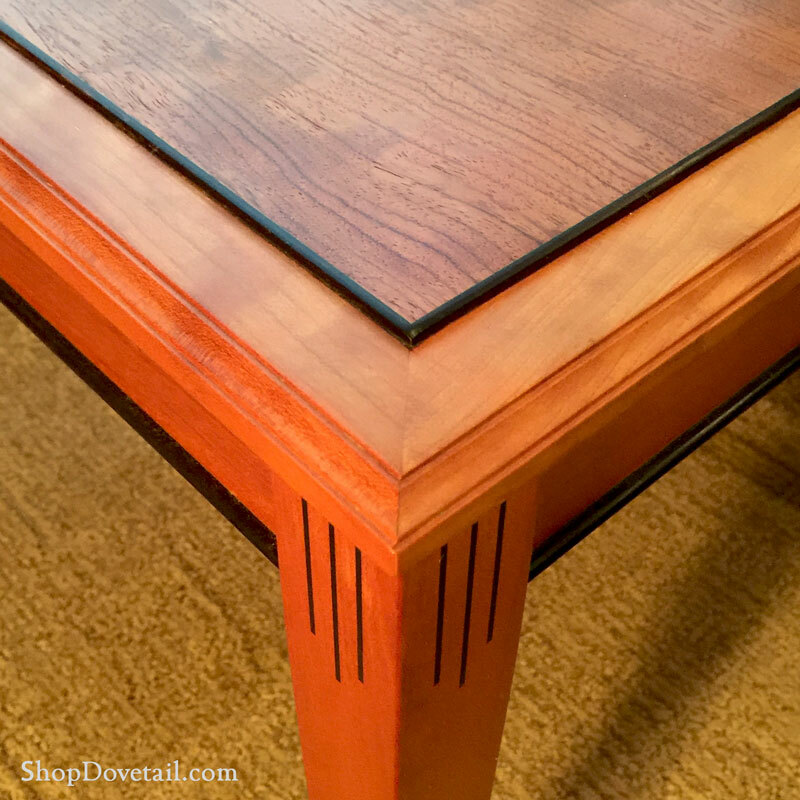 Four Square side table with sapele framing pommele sapele center. 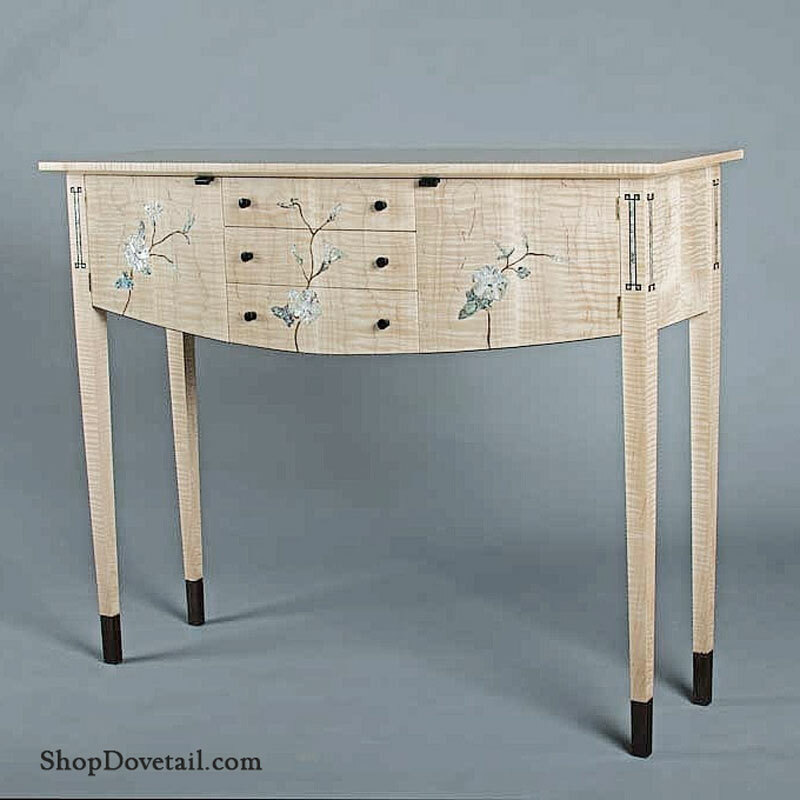 Ebony and mother of pearl "Four Square" details The pictured table is immediately available. Click on the picture to go to the product page. 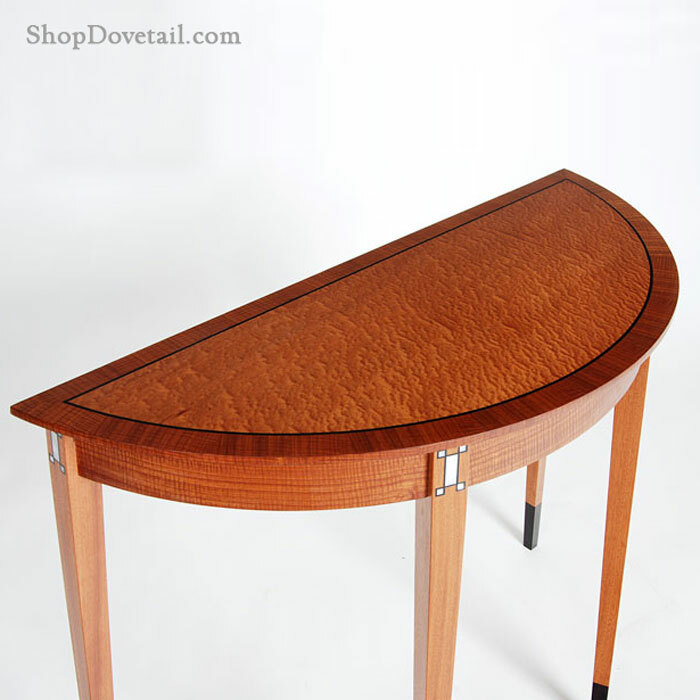 Custom Side table detail showing exquisite edge shaping and ebony accents. 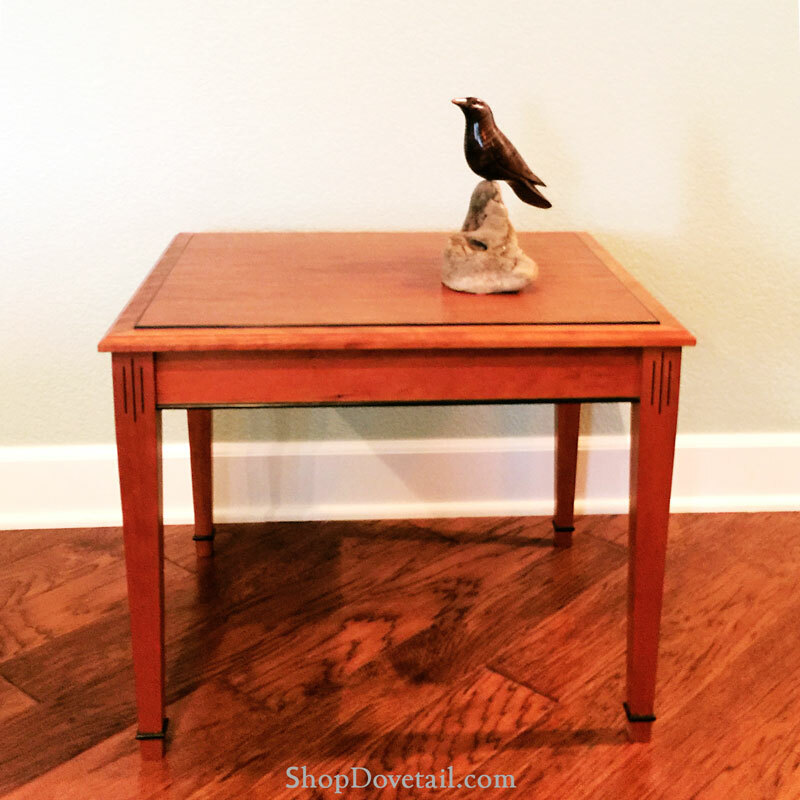 Custom Side table with classic Federal legs. Shown in cherry with bubinga center and ebony inlay. Detail image is shown to the right. Federal Style demilune featuring figured sapele framing a pommele sapele center. Ebony and mother of pearl inlay. Wenge feet. This specific table is available immediately. Click on the picture to go to the product page. Vienna Cabinet, in figured sapele, with ebony and mother of pearl details. 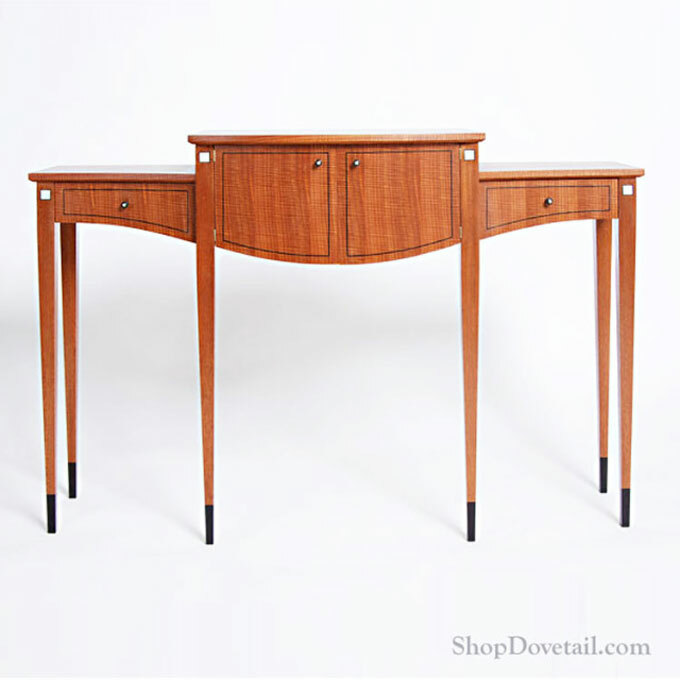 Beautiful outward-bowing center cabinet and inward-bowing drawers. Currently available. Click on image to go to product page. Morning Glory Cabinet, featuring exquisite mother or pearl and abalony inlay set in curly maple, with ebony detail. Two small cabinets and three drawers. This piece is currently available. Click on the picture to go to the product page.